78 different tattoo artists were randomly assigned one of the cards from the Waite Smith deck and each produced their own unique take on it. 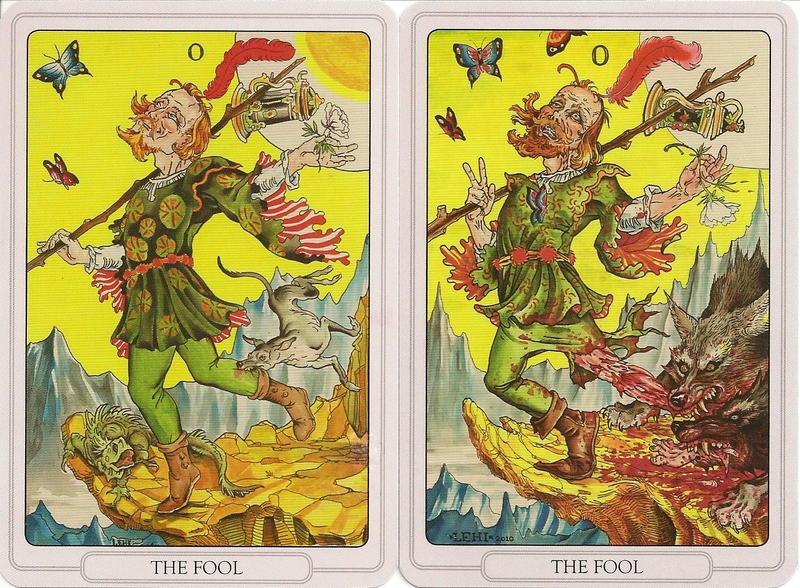 The Major Arcana have a Roman numeral at the top and their title at the bottom. They are all traditionally named, Strength is VIII and Justice is XI. The titles of the Minors appear at the bottom of the image. 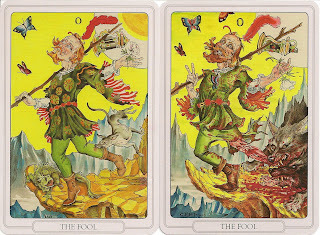 There were two Fools both by artist Tim Lehi .